Apple certainly knows how to put on a show. No other company can dominate the technology news agenda quite like it or inspire such fevered product speculation. It's a testament to Apple's corporate code of secrecy that, even as Steve Jobs walked onto the stage at the Moscone Center in San Francisco on Monday, we still didn't know exactly what to expect. That Apple would launch a 3G iPhone (specifically the 'iPhone 3G') was a given. Even die-hard supporters of the 2G iPhone will admit to bouts of frustration when EDGE drops out to GPRS. Web browsing becomes so sluggish that you can literally make a cup of tea between page loads. Pre-WWDC rumours pointed to a 3G iPhone with a 5MP camera (no), GPS (yes), video calling (nope), MMS support (wrong), Haptic feedback (don't be silly), 32GB of storage (no) and multiple colours (yes). The price tag was rumoured to be subsidised - £100 (bang on, although the iPhone will be free on some O2 tariffs). So now that Jobs has unveiled the actual iPhone 3G and the forthcoming version 2.0 software to go with it, are we still excited? Does it make us want to join Steve Jobs in shouting BOOM!? Yes and no. Even if the iPhone 3G isn't quite the gadget-stuffed smartphone many fanboys were hoping for, the fact that it's three times faster than EDGE and has built-in GPS will ultimately satisfy most of them. What was interesting was the relatively basic nature of the first iPhone applications destined for the App Store. Apple says that 4,000 applicants have signed up to its iPhone developer programme, yet the stand out app at the WWDC keynote was still Sega's Super Monkey Ball. It looks stunning, boasting graphics better than any mobile phone game you've ever seen. Apple will be glad of the extra month of development time – it could allow them to line up something more spectacular for the July 11 launch. One look at a list of Jailbroken iPhone apps, such as OrbLive, VideoRecorder, Twinkleand Quake 3 Arena, proves that we ain't seen nothing yet. In fact, we should probably look to September for the iPhone to really start motoring. Apple's own 2.0 iPhone features include the enterprise tools, searchable contacts, an updated version of the calculator, iWork and full MS Office document support, a bulk delete and move function plus the ability to save images in emails to the iPhone's photo library. More exciting was the announcement of a push notification service for September. This service will basically retain an IP connection so that developers can push notification information to applications that are no longer running (and consuming precious battery life). It'll be ideal for instantly informing you that you have a new email or an IM message. Then there's the .Mac replacement, Mobileme, to consider. Apple describes it as “Exchange for the rest of us”. Think of it as a wireless syncing service for your email, calendar and contacts across Macs, PCs and iPhones. 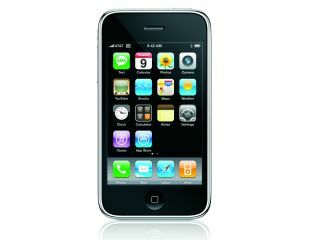 What's clear after the WWDC keynote is that the new iPhone 3G improves upon the 2G model in three key areas – 3G connectivity, GPS and an improved battery life. 3G was a necessity. Better software, design and usability will ultimately keep Apple ahead in the smartphone game. So let's not underestimate the importance of the 2.0 software. This is arguably the big deal in July. Without enticing applications to take advantage of the location features, the accelerometer and the OpenGL graphics, the iPhone is still technologically inferior to handsets like Nokia's N95.